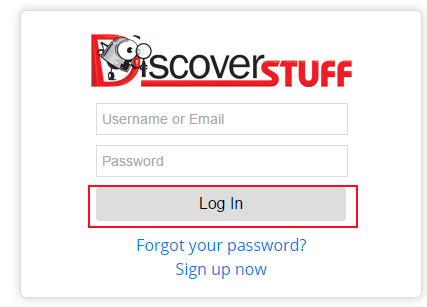 You must be logged into your account in order to post a listing on the any DiscoverStuff site. You can log into your account by pressing the Loginoption at the top right corner of the site. Next, enter in your Username and Password and press LogIn. 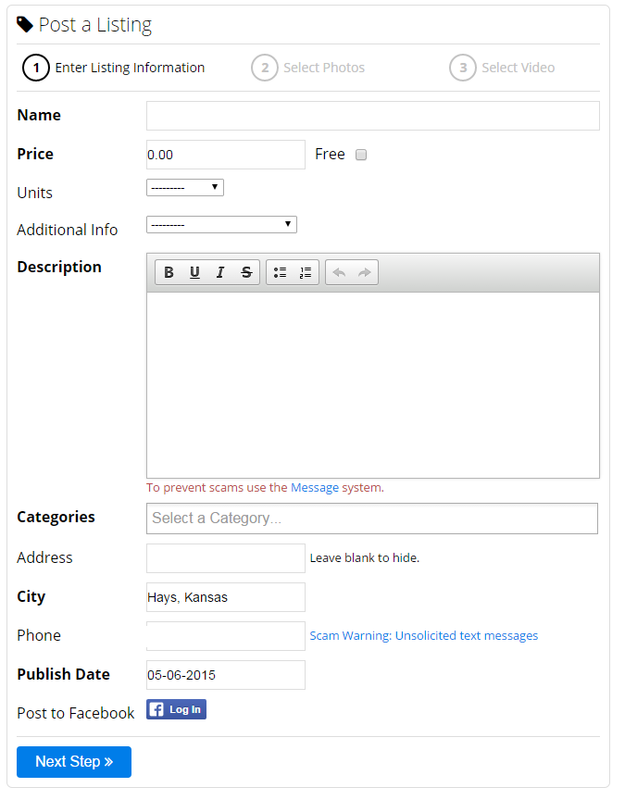 Once you are logged in, simply click Post a Listing to being creating your Classifieds listing. 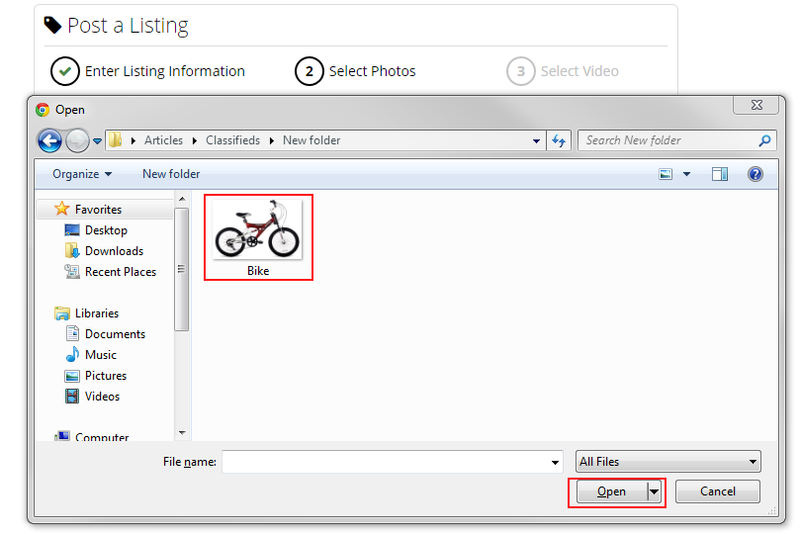 Now you will see the basic layout for creating or editing a DiscoverStuff Classified Listing. Name is where you will name your listing. It is generally a short, few word description of the listing. Category is where you will choose which category(ies) your listing will be posted in. A listing is allowed to be posted in up to 2 categories. NOTE: To select more than one category, simply start typing after selecting the first category. To remove a category, click the "X" next to the category you would like to remove. Description is where you will give a detailed description of the listing. Shows the location the listing is listed for. The amount you want to sell your item for. Specifies if the listing is for each, set, hourly, etc. 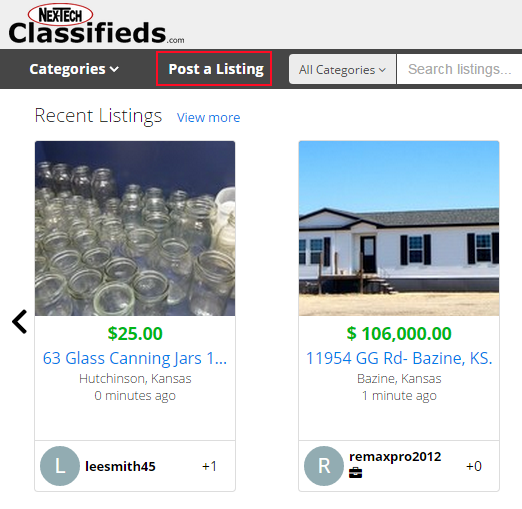 By marking a listing as Sold, the item is no longer visible on the Classifieds. Additional options regarding your price. You can choose to have your listing appear on a later date. By default, it will be visible instantly. All listings are for 1 week. You may renew the listing for another week when it's close to expiring. 5. Once you have completed the required fields, you will select Next Step at the bottom of the page. 6. 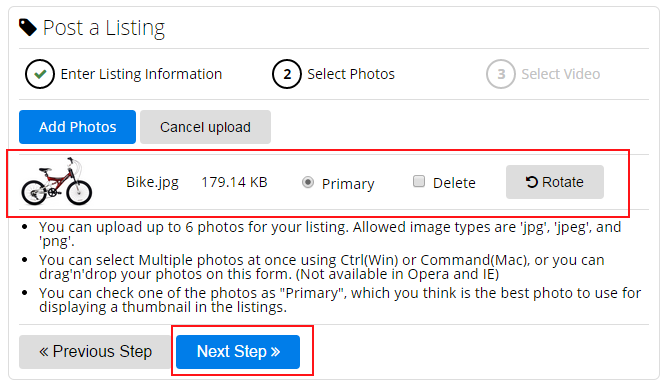 This will take you to part of the listing creation that will allow you to add pictures. Click Add Photos. 7. This will bring up a file explorer screen where you will navigate to where your pictures are stored on your device. If you want to add more than one picture repeat this process. You can have a maximum of 6 pictures on your listing. 8. Once you have completed uploading your picture or pictures you will see a screen that will look like the one below. You can select which picture you would like as the Primary picture or the "thumbnail". Once you have done so select Next Step. 9. This will take you to the Video Upload screen. 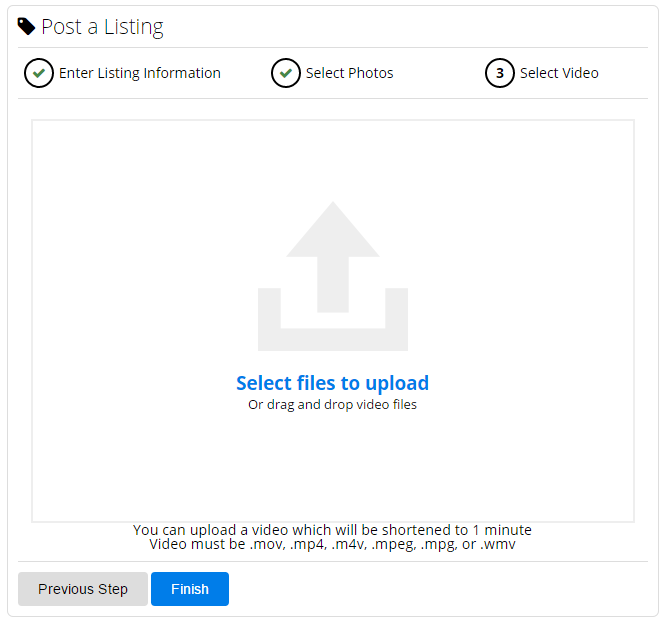 You can do the same process here and click on "Select files to upload" or you can simply drag and drop your video into this location. Please keep in mind all videos will be allowed a maximum of one minute, anything longer will be trimmed down. We also only support .mov, .mp4, .m4v, .mpeg, .mpg, or .wmv. Once you have uploaded your video if you have one, click Finish. 10. Once you selected Finish it will take you to your listing. You have now successfully created a listing on your DiscoverStuff Classifieds Account! Posted - Wed, May 6, 2015 at 3:51 PM. This article has been viewed 2704 times.